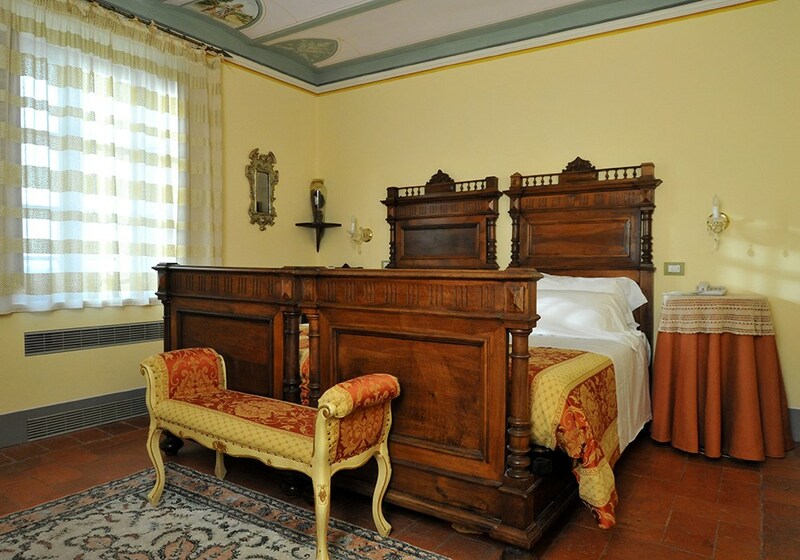 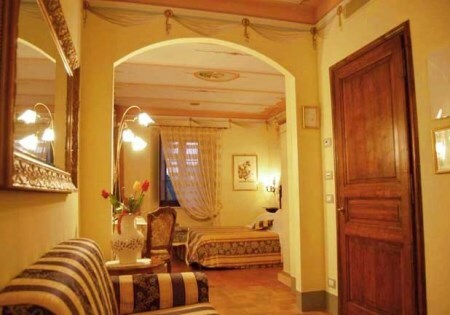 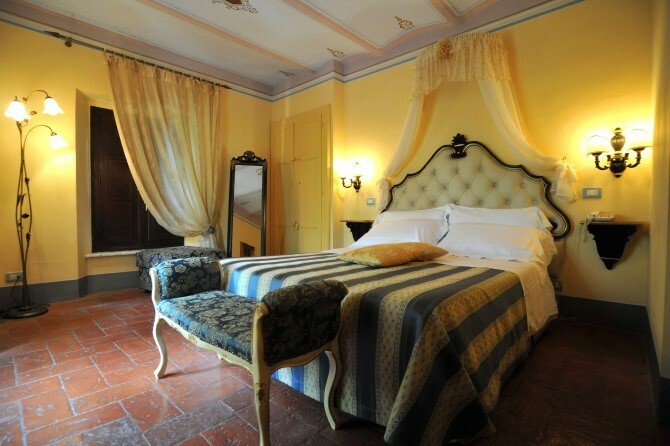 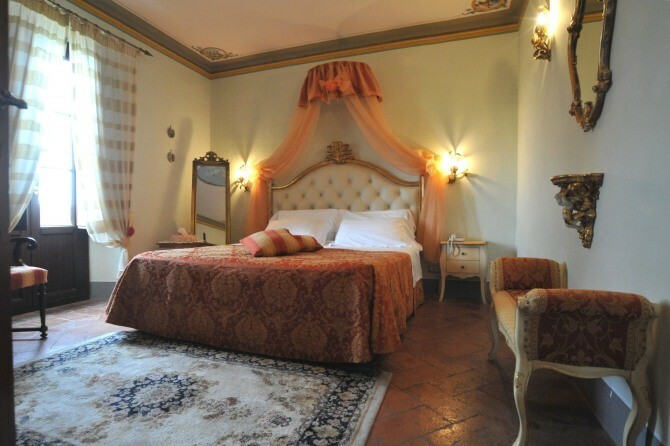 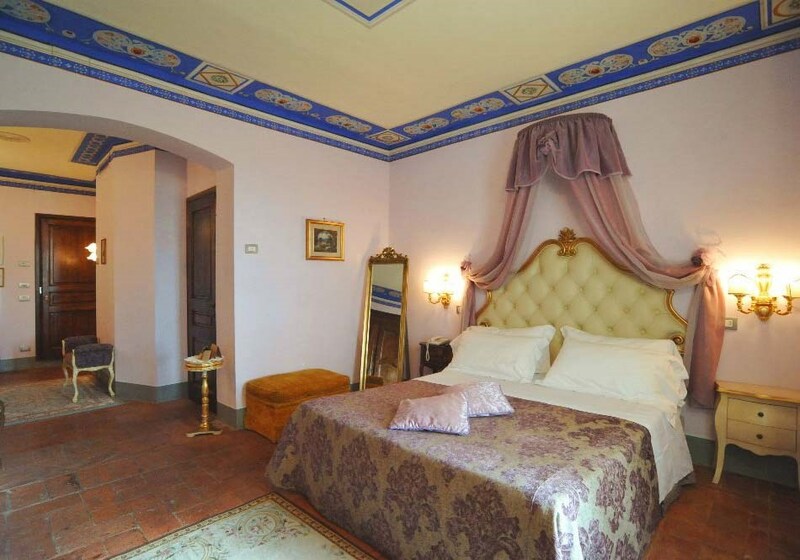 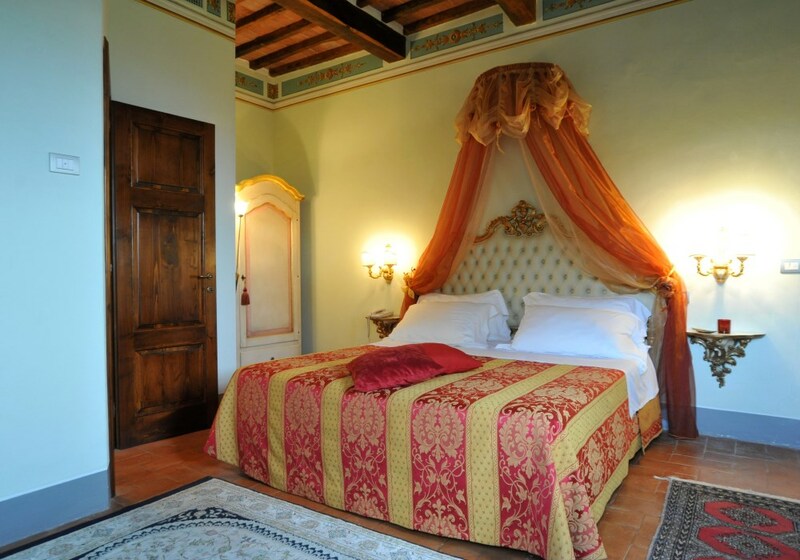 Spacious bedroom which revives floral decorations and trompe l'oeuil games on the ceilings. 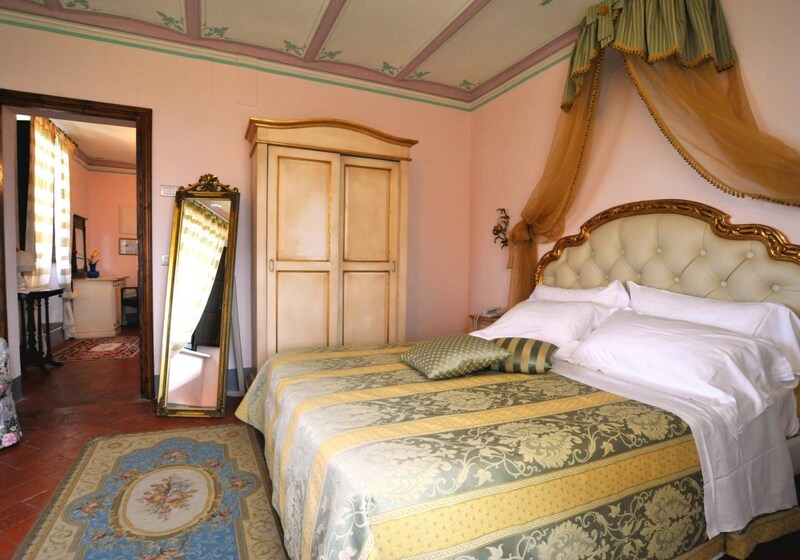 Comfortable living area with stylish furniture, bathroom with jacuzzi tub with shower, minibar, satellite Lcd tv, cable Internet access. 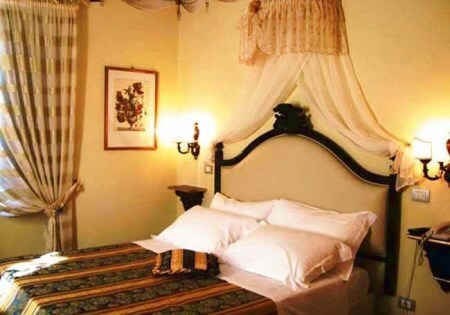 The room has no balcony, butb through its 4 windows you can look out directly on the castle park.